The Providence Journal is running a Readers’ Choice Award contest for local businesses. We are one of the five hardware stores listed, and we would love to have your support. 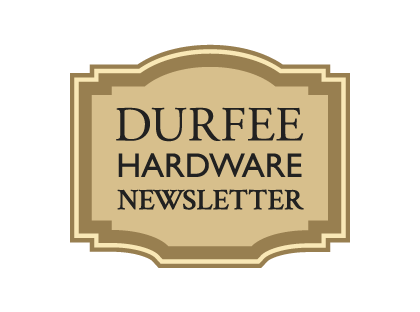 Help us name Durfee’s as Rhode Island’s preferred local hardware. Click below to begin, you will find us in the Shopping category under Hardware Stores. Voting ends March 5th. Right after I got out of college I lived right next door to the hardware store. There was an apartment in the building that stood where the post office stands today. The recent snow storm reminded me of living there. I used to like the snow storms because I didn’t have to worry about getting snowed in at the store. I could just walk next door. So, that allowed me to keep the store open no matter how bad it got. There is something nice about the big storms that shut everything down. People seem to slow down and take the time to talk. I always felt good about helping the customers that came in. You’d be surprised that probably half the people come in for products that have nothing to do with the snow. I recall a big snow storm and I didn’t have any food in my apartment so I walked down to the Carroll bakery that was on Pontiac Ave just to find something to eat. They were the only other store within walking distance that was still open. We may not be done with winter yet. I can remember as a kid being the in back seat of my dad’s Chrysler New Yorker driving back from Connecticut with the family. It was the first week of April and the snow was coming down so hard that I could hear my mom praying that we got home safely. So, there is still time for another snow day. I grill all year ’round so I needed some propane. I also think having a humidifier in the winter helps avoid the house getting too dry. I bought some humidifier water treatment at the store for the humidifier. Somebody hit my wife’s old Nissan in the rear bumper (no, there was no note on the windshield). That bump popped the driver’s rear quarter, out and it was flapping in the wind. All of this stuff is plastic, so I got some stuff on the second floor of the hardware store to put it all back together. Maybe not quite like new, but it looks just fine. When I put the new garage door openers in, I used the old sensors so I wouldn’t have to work so hard. Well, this month the old sensors died and I needed to install the new sensors to get things to work right. So that I would not have to change the wiring, I used my crimp tool and a connector to splice the new sensors into the old cable. Then, my whole life changed! I have three cars and two garage doors. From reading the manual, I found out that the door openers can have more than one control to open them! So I went to Durfee’s and bought a new control for the third car. What was great is that it had two buttons on it – one for each door. You could even get fancier and buy a device that allows you to control the doors with your phone over the internet. I chose the remote but that internet thing was intriguing.